The military is known for substance abuse and uses due to the extreme stress of war, long work hours, and other factors. Alcohol is available on and off military bases, and typically a discount on military installations. 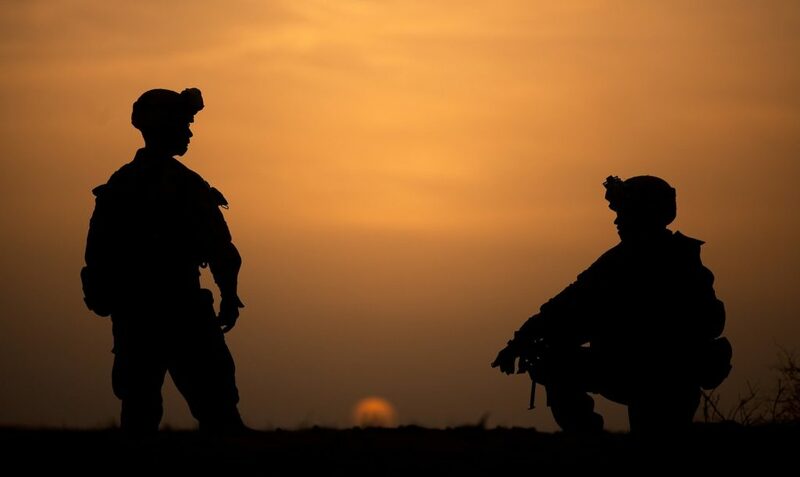 Studies have found that service members who have deployed to Iraq and Afghanistan and experienced combat, are at risk for increased alcohol use, binge and heavy drinking, and alcohol-related issues . Researchers hypothesize that the increase in alcohol use is due to challenges of war, the alcohol being used as a way to cope with stressful and traumatic events, and for self-medication with mental health issues. The military strongly discourages alcohol abuse, illicit drug use, and tobacco use by military members due to its negative effects on physical and mental health, as well as performance levels. Alcohol use in men of 14 drinkings or more per week and 7 for women is considered excessive . In the military, a person can join as active duty or reservist at any level of the armed forces branches. These are the Army, Navy, Marine Corps, and Air Force. For reservists, they can also join the Army National Guard. There are various groups within these branches dependant on whether you are active duty or reservist, which is determined by your job or training. Typically those who are on active duty are younger than their reservist counterparts. 65% of active duty members are 30 years of age or younger, and more than 40% of both active duty and reservists have children . A study in 2011 showed that higher rates of alcohol levels resulted in higher alcohol-related issues. Another study found that female spouses of military members who were deployed reported almost 4% had used illicit drugs, 12% engaged in binge drinking and 27% reported tobacco use . 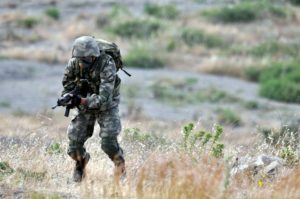 Many researchers hypothesize that the considerable strain on military families, multiple deployments can increase the stress levels both individually and within the community. Deployments can be connected to increased mental health issues for family members, decreased healthy eating patterns, and negative consequences on sleep and stress management skills. Within the military, the Department of Defense requires military members to participate in random urinalysis testing to help identify and potentially prevent substance abuse. Commanders-in-Charge can also require random testing for those they may feel be using illegal drugs . When drug use is found, commanding officers and medical professionals on the installation can refer a member for an assessment at the local counseling office on base. A person is also able to get a referral to off-bases services through their insurance. Stress reduction skills are necessary when managing feelings of being overwhelmed or overtired for both members and their families. Often talking with a counselor can help with learning various tools and techniques on stress reduction. 1. Look into exercise classes on your installation. At the local gym many classes, including yoga, are offered. A regular amount of exercise, 30-45 minutes 3-4 times per week is a great stress reduction tool. Typically on military bases, the gym and its services are free to all military members and their dependents. 2. Utilize your community. Whether active duty or a dependent, there are various resources within your community and unit. Other spouses typically gather together for a game night, kids play-dates, or other activities during the month. One spouse is also typically the point-of-contact when military members are deployed to check-in on the families. Getting together with other families or military members who are going through similar situations can help create a feeling of connectedness and cohesion. 3. Pay attention to what you are eating. If you are constantly cooking comfort foods or eating out at fast food restaurants, then your body may be feeling run down. Try choosing a healthy variety of foods to include fruits, vegetables, healthy grains, and dairy. Healthier foods can help your body and mind feel more energetic. Many families will organize meal prepping nights where each person brings one meal, and everyone splits up to share and freeze. This can be a huge time saver and reduce the stress of preparing meals daily. 4. Find an activity about which you may be passionate. Volunteer in your local community, or connect with your faith on base. Being able to get involved with something that you feel connected to can give you a purpose. Often whether deployed or at home, it can be difficult to feel that you are a part of a community, especially if you are moved from base to base every few years. Having a cause to get involved in can go with you wherever your family does. 5. Talk to a counselor about your stress levels if coping skills do not work. A therapist can help by first listening and then work with you to come up with skills and activities that work for you. There may be underlying mental health issues that are undiagnosed and need to be addressed to help with stress reduction. Counseling is free on military installations, and therapists are trained, clinical staff. In conclusion, stress reduction takes practice and patience. It may feel overwhelming at times, and chaotic, but remember that stress is our bodies way of alerting our brain to the fact that too many things are going on at one. Breathe and take it one step at a time. Stressful feelings and sensations pass. Talk with others in your community and share your concerns. You will not be alone in your feelings as everyone experiences stress within their job, personal life, and everyday living. Reviewed By: Jacquelyn Ekern, MS, LPC on September 21, 2017.